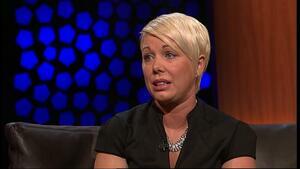 On RTE One’s Late Late Show. 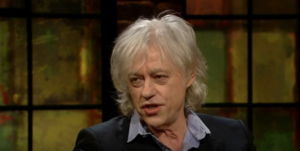 A pre-recorded interview by host Ryan Tubridy with Bob Geldof will be broadcast, in which the campaigner will explain why he returned his Freedom of Dublin award to Dublin City Council last year – in protest at Aung San Suu Kyi’s inclusion as a recipient of the award. Posted in Misc and tagged Bob Geldof, Late Late Show at 2:28 pm on March 30, 2018 by Bodger. When Virtue Signalling backfires, try more Virtue Signalling. david please. Diplomacy is the art of making your point without causing offence. If you are going reference Leo then at least spell his surname correctly? Otherwise your point is completely lost. Tnx. Diplomacy is different from what hypocrisy is .Sadly hypocrisy just oozes from their lips. He certainly did nothing . To be honest if Micky De thinks what he delivers justifies what a president dose ,its justification for dissolving the office. And save the country millions per year . His record in health was a disaster and to be honest I fear for our future over brexit. To be honest we could just skip the whole lot of them and just be ruled directly from the Reich and save on the administration costs and their offices. Imagine the savings in the supporting of their pensions when they are ousted or retired we would make. David likes to think that the satiric misspelling of Leo Varadkar’s name helps him hammer home the dislike/hatred they have for him. In reality is nothing but racial micro aggression and with all the other venomous drivel he spouts, it tells me all I need to know about the kind of person he is. And a true hypocrite you are. Its lampooning an individual a play of words. Biffo used against Cowan is just one . They try to silence people much like bullies. Some do not like it and to be honest they have their views. It’s different. Very different. And you know it. Or maybe you don’t. But you should. 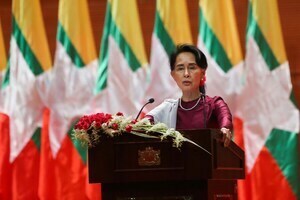 Geldof didn’t return his London freeman of the city award which Aung San Suu Ky also has. SIR Bob Geldof should atleast be consistent. from Consistantinople too I bet, feckin splitters! He’s not a SIR since he isn’t a Brit cit. He’s an honorary holder of that award therefore cannot be called sir. He cannot but because you are jelly bags of him, you will as usual try and belittle him. Others will call him such like Terry Wogan ,who also was given that such honour. And I never mentioned anything about jihadis, FFS. What’s your deal? @David – Because Terry Wogan was a perfectly decent, personable man whereas Bob Geldof is a gargoyle. He’s off meat for Lent. He had a bunch of people parade around the stage in assk masks on the 360 tour… the pox. How many family homes within Dublin does Geldof own? I am asking for an Irish Times friend obviously. And many a pig doesn’t want to be associated with you, Bob. How’s the oul holdings in Africa Bob? He was happy enough to be associated with her when she was flying high. There’s something off with the word “pig” .